Since we’re first-time homeowners, the thought of maintaining a garden just seemed way too hard for us (and too much work). But after living in our house for a little over a year now (! ), green fever has finally hit. 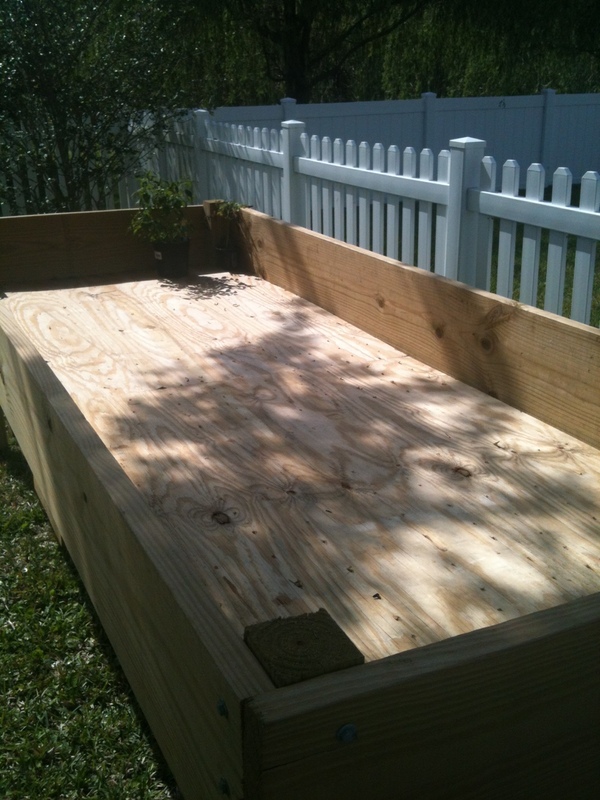 Over the past few weeks, ManFiancé has been working on building a garden box. We don’t know the first thing about gardening, but I’m planning on figuring it out along the way. Oddly enough, we came home a few weeks ago to 3 plants sitting on our sidewalk: pepper, tomato and strawberry. We didn’t know where they came from or who left them, but they were right there for the taking. So we took them. It’s not stealing if it’s on your property right? We were convinced this was a sign. A good sign? Still not so sure. 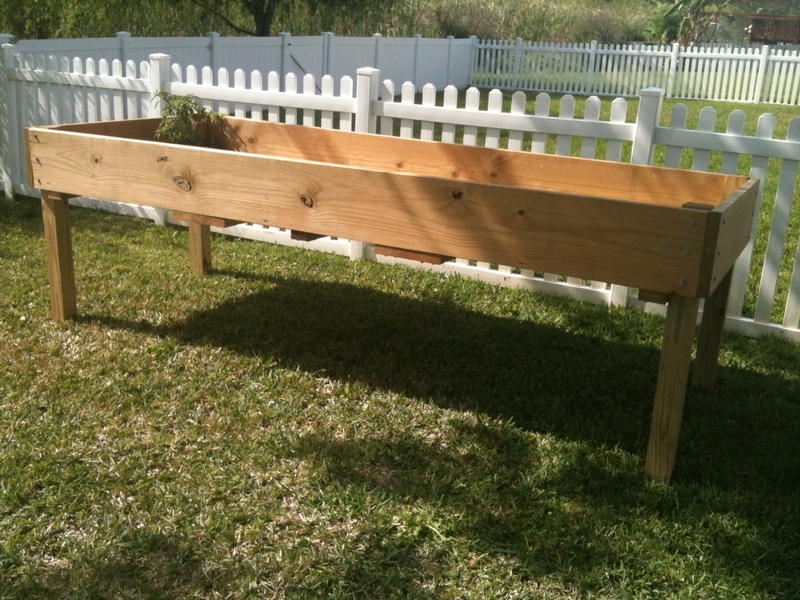 This weekend, the garden box was finally finished. Only the pepper has survived out of the 3 (it’s been about 4 weeks since we found them), so that’s the only plant in our “garden” so far. It concerns me a little that we managed to kill the strawberry and tomato plant already, but I’ll just pretend they never existed (they were free, after all). Like I said, we don’t really know what we’re doing. 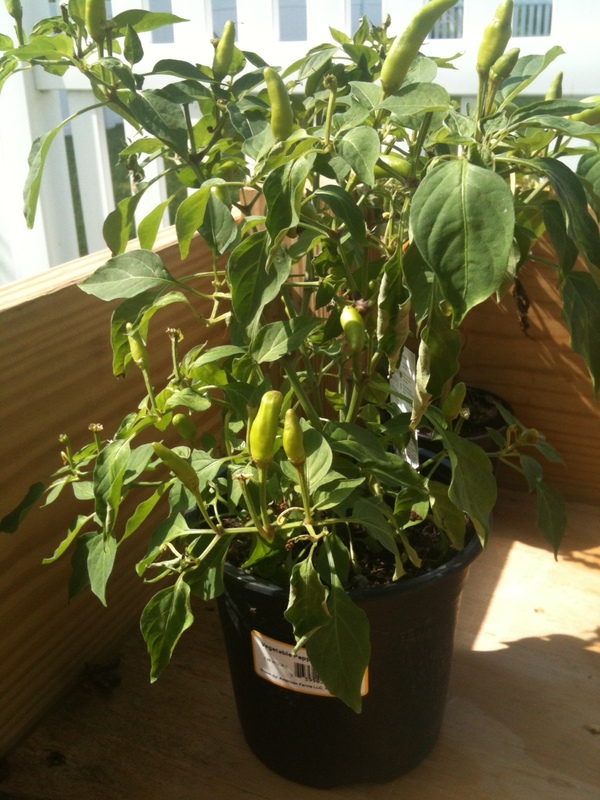 If you know of any good veggies or fruits that are hardy and can thrive in the hot Florida weather – I’m all ears. p.s. congrats to ManFiancé for his first successful build. more projects to come? we’ll see. You guys are soooooo funny!!! 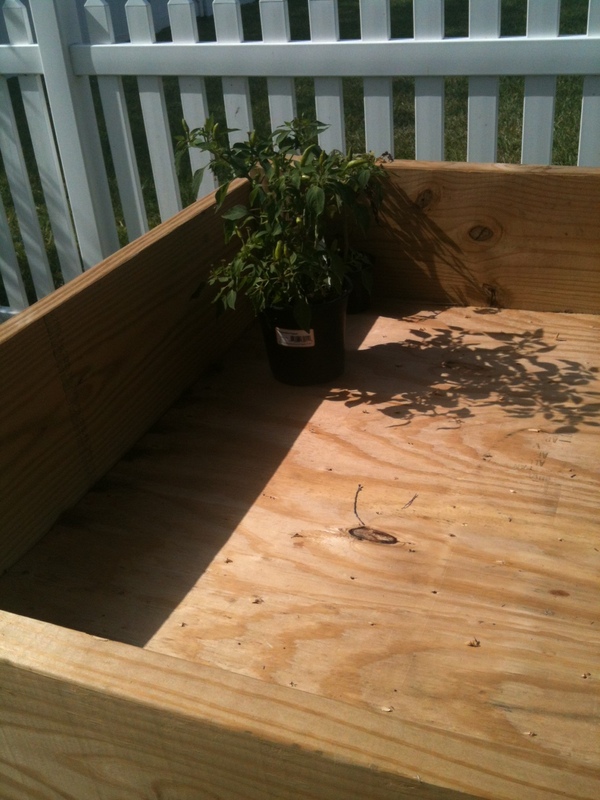 Have to put garden soil in the box and transplant your arrivals! Good job Clint! !